Good Morning you guys, How about a ‘Make it Monday’ post on a Tuesday?? I spent all day yesterday hanging out at the waterpark (I’m sun burnt!) so I didn’t have time to search the internet for all of these cute tutorials! Make a Mini Glittered Stand with this tutorial. 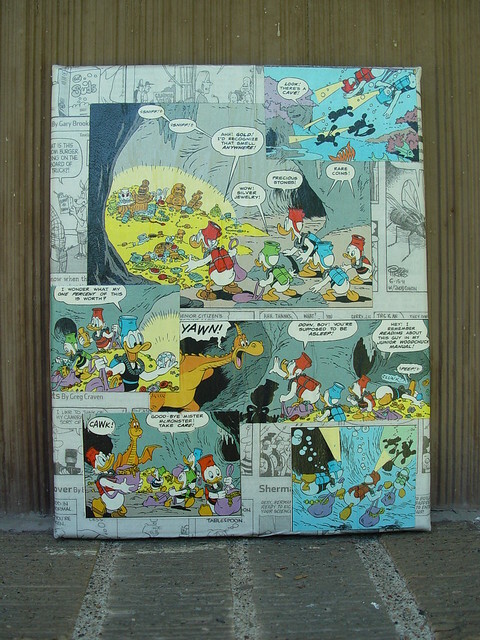 Get the DIY for this Comic Book Wall Art here. Learn how to make fun Geometric Jewelry using Shrinky Dink with this DIY. Make Recycled Paint Chip Art using this tutorial. Find the tutorial for these Doily Lace Candle Holders here. Have any neat project ideas? If you’ve done a tutorial on your blog lately, I would love to feature it. Just fill out this form.